The Lowcountry of South Carolina is where By Invitation Only begins at a barbecue engagement party thrown by Diane English Stiftel, her brother Floyd, and her parents to celebrate her son’s engagement. On this gorgeous, magical night, the bride’s father, Alejandro Cambria, a wealthy power broker whose unbelievably successful career in private equity made him one of Chicago’s celebrated elite, discovers the limits and possibilities of cell phone range. While the mother of the bride, Susan Kennedy Cambria, who dabbles in the world of public relations and believes herself deserving of every square inch of her multimillion-dollar penthouse and imaginary carrara marble pedestal, learns about moonshine and dangerous liaisons. Soon By Invitation Only zooms to Chicago, where the unraveling accelerates. Nearly a thousand miles away from her comfortable, familiar world, Diane is the antithesis of the bright lights and super-sophisticated guests attending her son Fred’s second engagement party. Why a second party? Maybe it had been assumed that the first one wouldn’t be up to snuff? Fred is marrying Shelby Cambria, also an only child. The Cambrias’ dearest wish is for their daughter to be happy. If Shelby wants to marry Frederick, aka Fred, they will not stand in her way—although Susan does hope her friends won’t think her daughter is marrying more than a few degrees beneath her socially. At the same time, Diane worries that her son will be lost to her forever. By Invitation Only is a tale of two families, one struggling to do well, one well to do, and one young couple—the privileged daughter of Chicago’s crème de la crème and the son of hard -working Southern peach farmers. 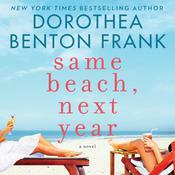 Dorothea Benton Frank offers a funny, sharp, and deeply empathetic novel of two very different worlds—of limousines and pickup trucks, caviars and pigs, skyscrapers and ocean spray—filled with a delightful cast of characters who all have something to hide and a lot to learn. A difference in legal opinions, a headlong dive from grace, and an abrupt twist will reveal the truth of who they are and demonstrate, when it truly counts, what kind of grit they have. Are they living the life they want, what regrets do they hold, and how would they remake their lives if they were given the invitation to do so? 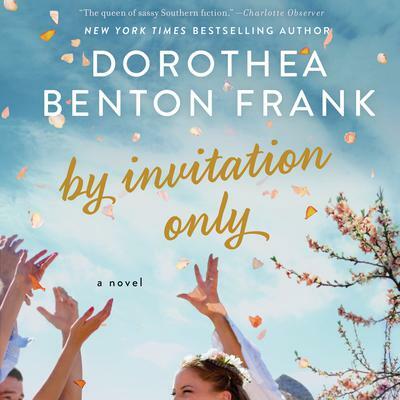 By Invitation Only is classic Dorothea Benton Frank—a mesmerizing Lowcountry Tale that roars with spirit, humor, and truth, and forces us to reconsider our notions of what it means to be a Have or a Have Not. The Lowcountry of South Carolina is where By Invitation Only begins at a barbecue engagement party thrown by Diane English Stiftel, her brother Floyd, and her parents to celebrate her son’s engagement. On this gorgeous, magical night, the bride’s father, Alejandro Cambria, a wealthy power broker whose unbelievably successful career in private equity made him one of Chicago’s celebrated elite, discovers the limits and possibilities of cell phone range. While the mother of the bride, Susan Kennedy Cambria, who dabbles in the world of public relations and believes herself deserving of every square inch of her multimillion-dollar penthouse and imaginary carrara marble pedestal, learns about moonshine and dangerous liaisons. Soon By Invitation Only zooms to Chicago, where the unraveling accelerates. Nearly a thousand miles away from her comfortable, familiar world, Diane is the antithesis of the bright lights and super-sophisticated guests attending her son Fred’s second engagement party. Why a second party? Maybe it had been assumed that the first one wouldn’t be up to snuff? Fred is marrying Shelby Cambria, also an only child. The Cambrias’ dearest wish is for their daughter to be happy. If Shelby wants to marry Frederick, aka Fred, they will not stand in her way—although Susan does hope her friends won’t think her daughter is marrying more than a few degrees beneath her socially. At the same time, Diane worries that her son will be lost to her forever. By Invitation Only is a tale of two families, one struggling to do well, one well to do, and one young couple—the privileged daughter of Chicago’s crème de la crème and the son of hard -working Southern peach farmers. 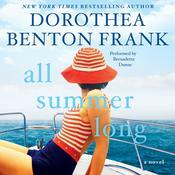 Dorothea Benton Frank offers a funny, sharp, and deeply empathetic novel of two very different worlds—of limousines and pickup trucks, caviars and pigs, skyscrapers and ocean spray—filled with a delightful cast of characters who all have something to hide and a lot to learn. A difference in legal opinions, a headlong dive from grace, and an abrupt twist will reveal the truth of who they are and demonstrate, when it truly counts, what kind of grit they have. Are they living the life they want, what regrets do they hold, and how would they remake their lives if they were given the invitation to do so? 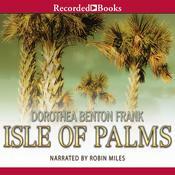 By Invitation Only is classic Dorothea Benton Frank—a mesmerizing Lowcountry Tale that roars with spirit, humor, and truth, and forces us to reconsider our notions of what it means to be a Have or a Have Not. 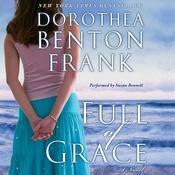 Dorothea Benton Frank is the New York Times bestselling author of Bulls Island, The Christmas Pearl, The Land of Mango Sunsets, and many other books. She has appeared on the Today show and Parker Ladd’s Book Talk and is a frequent speaker on creative writing and the creative process for students of all ages and in private venues, such as the National Arts Club, the Junior League of New York, Friends of the Library, and the Susan G. Komen Breast Cancer Foundation.